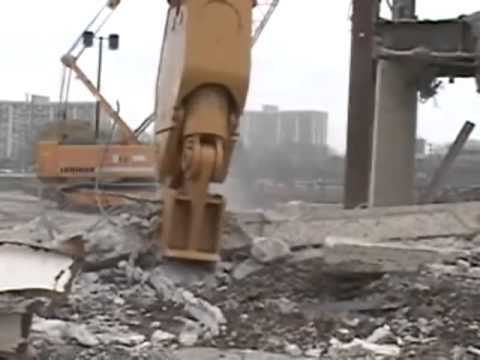 Watch the Genesis LXP with Pulverizer Jaws on a demolition site. Genesis Logix Processors are covered by a 12-month, 1,500-hour (whichever occurs first) warranty. This concrete pulverizer from Genesis Attachments, the LXP® with Pulverizer Jaw, is designed for concrete processing, bridge demolition, rebar removal and secondary demolition projects. In addition, the LXP provides the fastest possible cycle times with its proprietary regeneration valve and fits 20,000 lb. to 150,000 lb. excavators.